We are a market-savvy company, with a customer-oriented quality deliverance approach that guides us to provide customized packaging machinery for specific packaging processes. Our prime focus is to create maximum utility and offer value for money to our customers. Hence, we make every effort to understand client's business and accordingly procure machines that meet their specific requirement to the fullest. Our prime motive is to play a crucial role in assisting clients to expand their business profits. Along with the understanding of customers' requirement, it is our time-tested business management methods, quality compliance, fair trading practices and responsive services that have carved a niche for us in our domain. Combining years of experience, we have made a strong presence in domestic market. In our endeavor to achieve complete customer satisfaction, we offer our clients products and services of quality that is second to none in the industry. Years of trading expertise and in-depth technical know-how has leveraged our competencies and we offer comprehensive process support. Our services encompass pre-sales consultation that guides the buyer to choose the right machines and post sales services such as installation, training, trouble shooting etc. We also execute annual maintenance contracts as per client's requirement. Apart from these, our well established Distribution & Service Network across India backs us to deliver timely services thus supporting client at every point of need. Our prime concern is to ensure easy product availability and efficient post sales service, within least lead time. We are a quality concerned company with a sole objective to deliver best packaging machinery. All machines offered by us are manufactured by companies of international repute. These are quality certified manufacturing units, which follow industry defined standards in product engineering. Thus, the different types of packaging machines offered by us are in accordance with international standards of functionality and reliability. 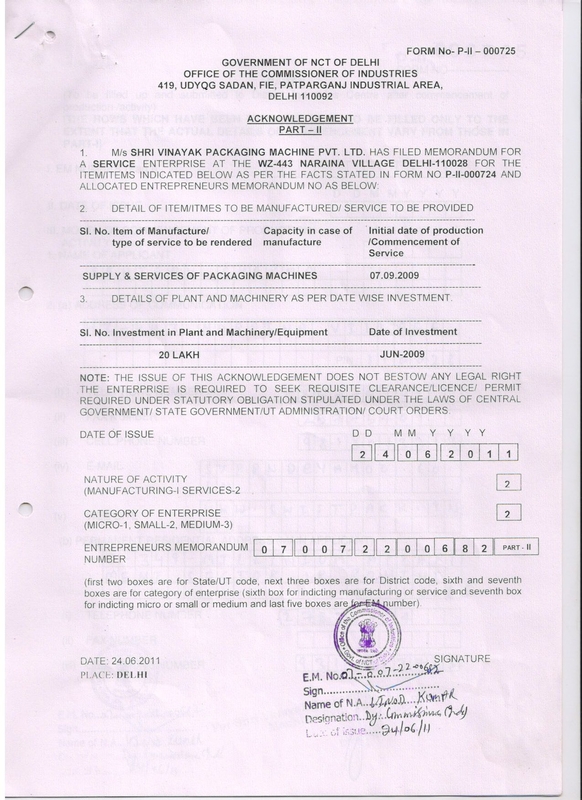 The machines are supplied to clients along with the warranty papers and operational & maintenance manuals. We ensure to deliver machines in absolute factory condition. Dainik Bhaskar Pawana Zadi Security Services Ltd.
Diamond Comics Plaza Cabels Limited. Fun Foods Pvt Ltd R. S. Hygne Limited ( Home Foil). Hindustan Lever Ltd Tauras India Limited.